As more and more would-be entrepreneurs leave the world of traditional work to set up their own businesses and develop their own products, it only makes sense that crowdfunding as a means of financing a business endeavour has grown and grown in popularity. 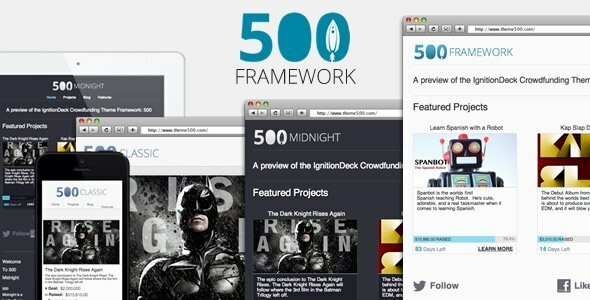 We’re seeing hundreds of businesses get off the ground each year due to crowdfunding on sites like Kickstarter and Indiegogo, but plenty of users are also bucking the trend and setting up independent websites for crowdfunding. 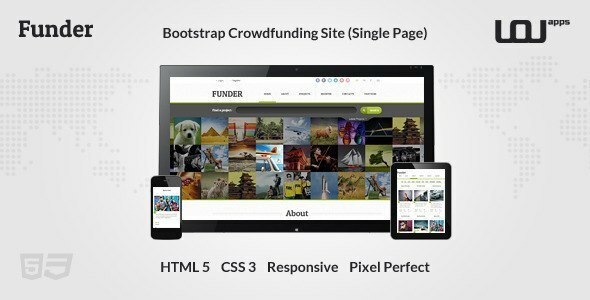 Setting up your own crowdfunding site allows you to benefit from interested users pledging donations to help bring your vision to life, but without the constraints of Kickstarter and co you can choose your own layout, terms and conditions, and other options. 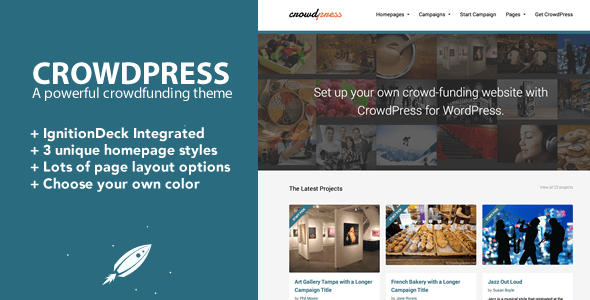 So that’s where today’s post comes in; we’ve rounded up a list of the top ten crowdfunding themes to help inspire you to set up a site to fund your next great business adventure. 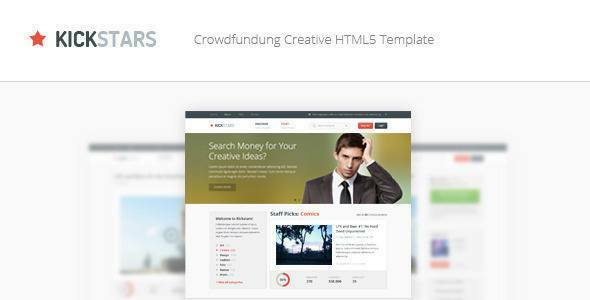 A simple to use, one page crowdfunding HTML template, Funder uses the powerful Bootstrap framework and offers many different versions so the user has complete control of the aesthetics. 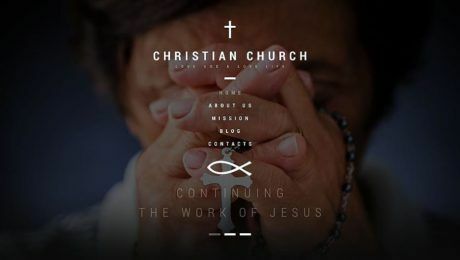 Layouts range from two to four columns and can include integrated Google maps, a gallery and a dedicated project page. 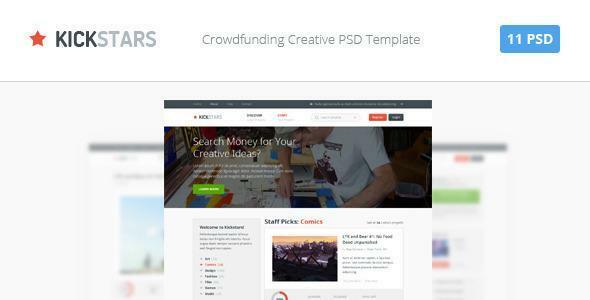 Much like the HTML5 option listed above, the Kickstars PSD template is a fresh and clean crowdfunding template that contains 11 layered PSD files and free icon and font packs. 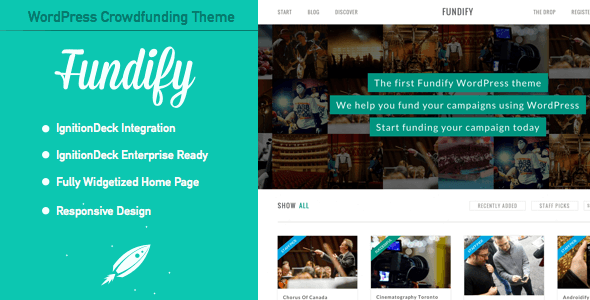 Built for seamless integration with the WordPress crowdfunding platform, IgnitionDeck, Fundify allows you to take advantage of all of WordPress’ benefits to create your own fully widgetised crowdfunding page. 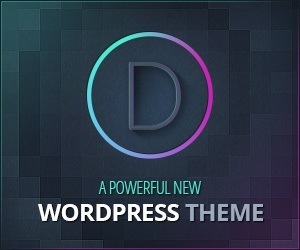 Another WordPress option that’s based on the IgnitionDeck plugin, Backer offers all the bells and whistles you need to create a stylish site to help you raise money for your impending project. 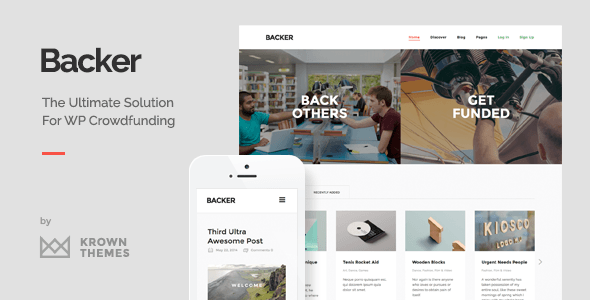 Boasting a minimalistic design, Backer is a blank slate that can be used for all areas of b usiness, whether it’s a charity venue or a brand new music business. 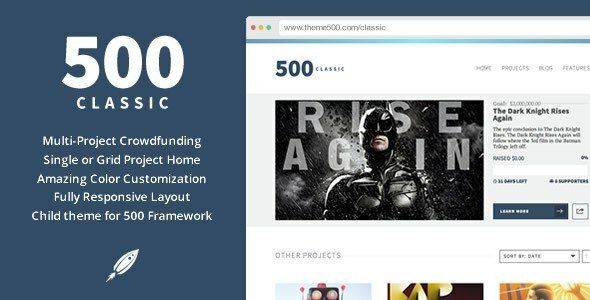 A crowdfunding WordPress theme that’s ready for any kind of venture, Theme 500 is 100% responsive to ensure your site looks just as gorgeous on desktops, tablets and mobile devices. 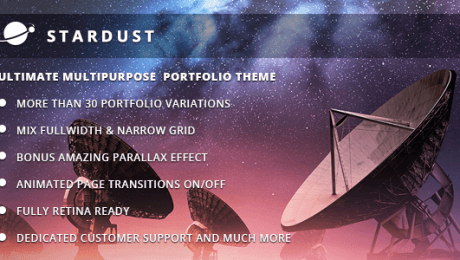 Theme 500 is also child theme ready and has spawned multiple offerings, including the two highlighted below. 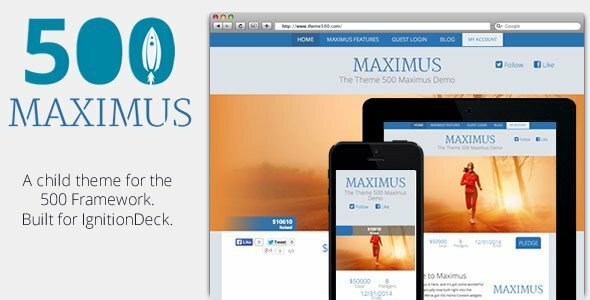 A child theme of Theme 500, Maximus allows you to create a site that puts the focus on your project in a simple but attractive way. 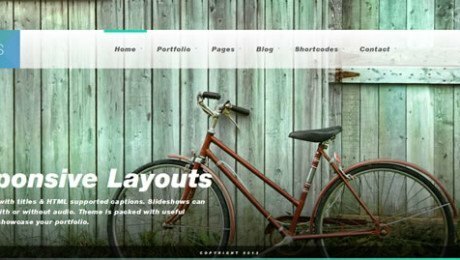 A host of Theme 500 content widgets are a great way to design your site’s layout and ensure your content is displayed just the way you want it.